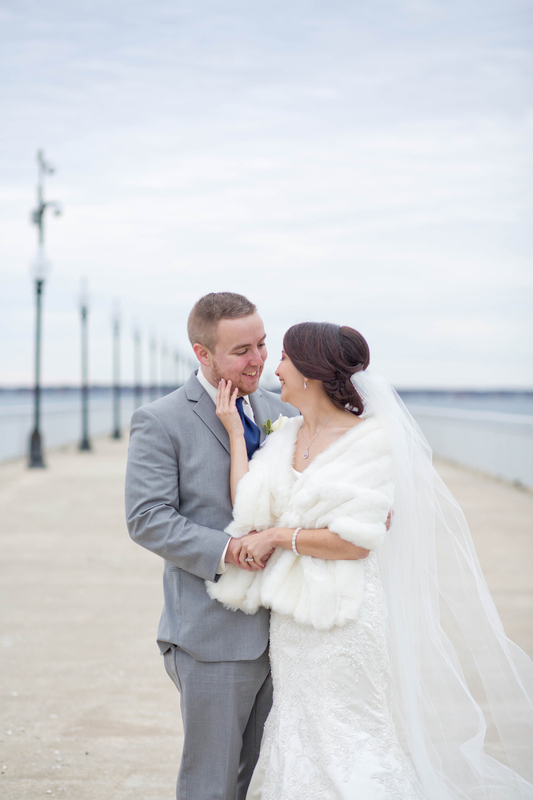 This week, I’m featuring my latest wedding. 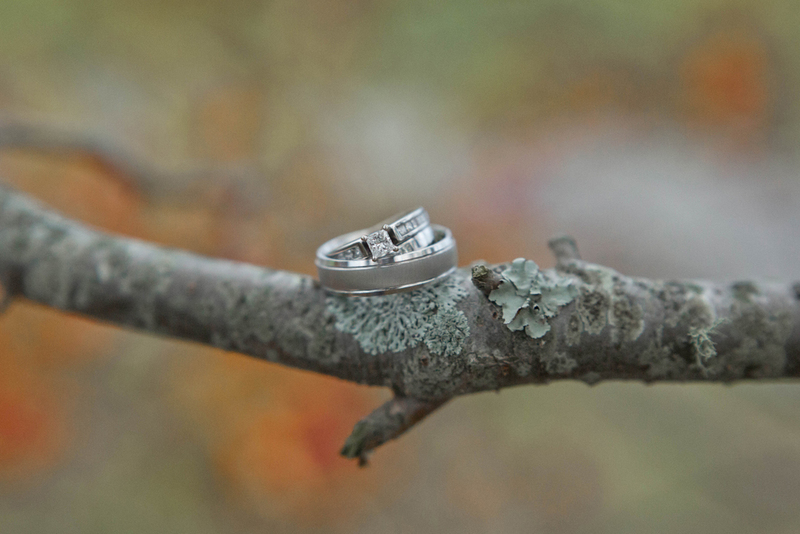 It was my last wedding I photographed for 2015, and it was lovely! 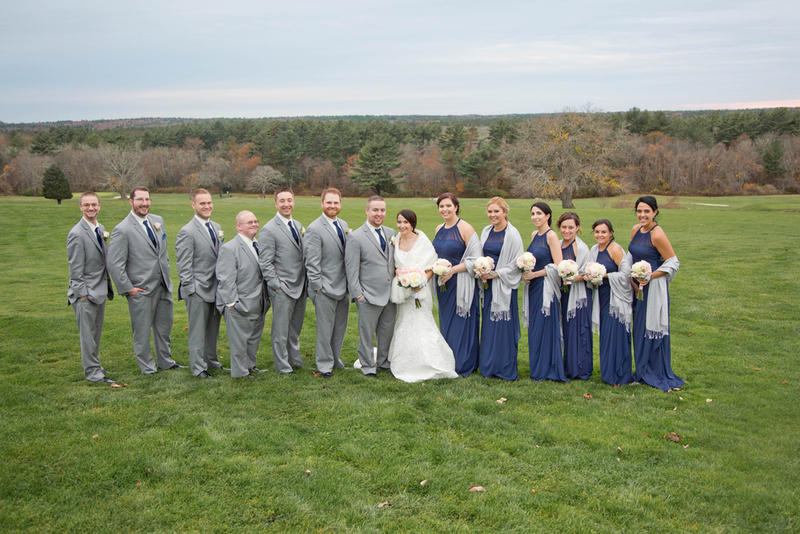 Diane and Dan were married on a beautiful fall day. It was overcast, but we lucked out with no rain. It was a tad windy, but warmer for this time of year for New England. Diane and Dan truly lucked out! 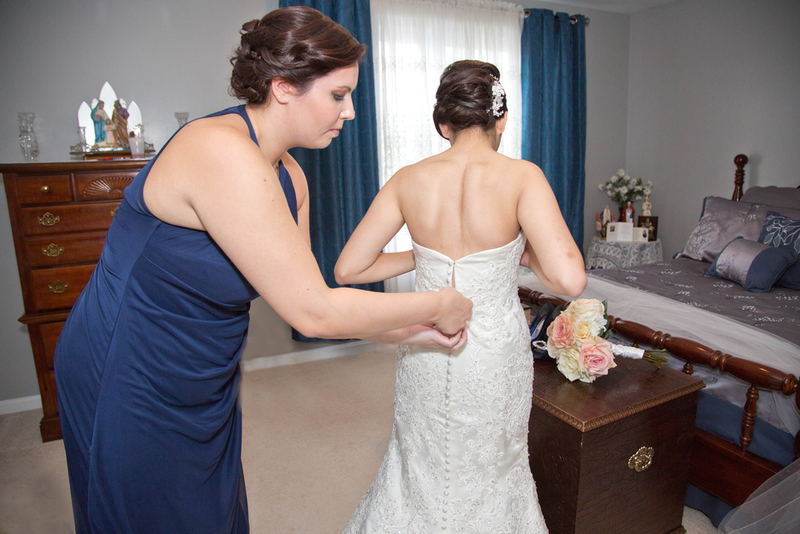 I started my day with Diane and her bridesmaids getting ready. 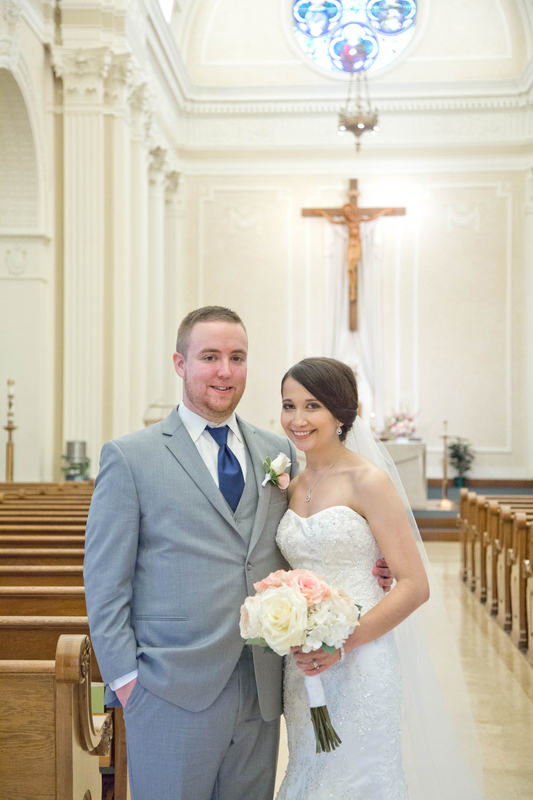 After that, we proceeded to the ceremony site: Holy Trinity Parish in Fall River, MA. This church was just beautiful, with it’s high domed ceilings and gorgeous stained glass windows. I’m not a religious person, but some churches architecture is just breath-taking, and I love it. 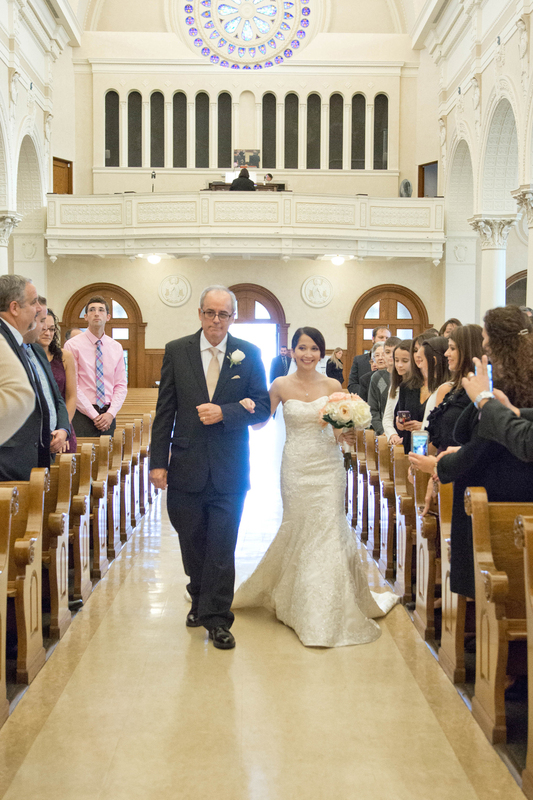 Diane had only one request for photos, and you’ll see it below, but when I walked into the church, I knew it would work perfect. The ceremony itself was impeccable. 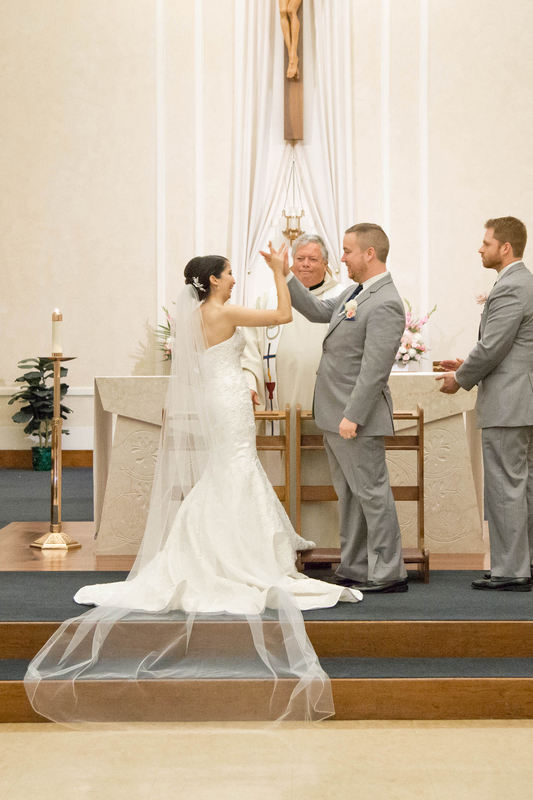 There were laughs, tears, and even a high-five from the bride and groom that I was sure to capture! 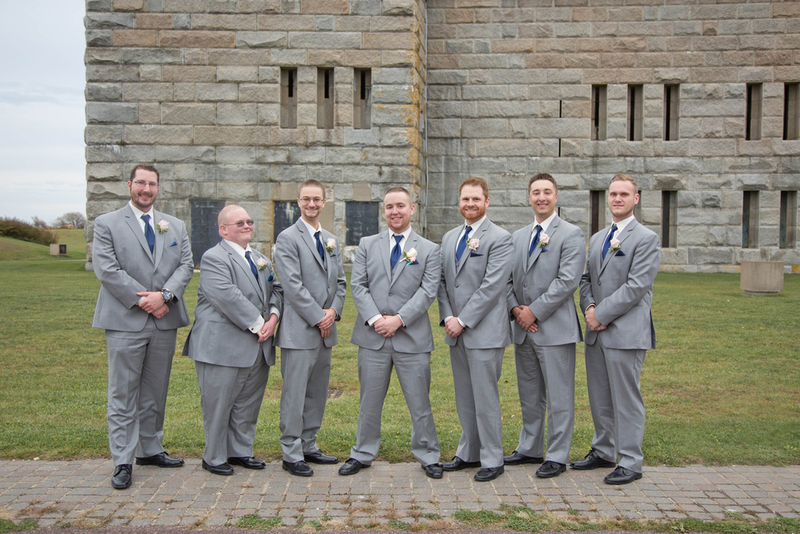 We chose to take their formals at Fort Taber in New Bedford, MA. This park sits on the ocean, so it has a gorgeous view! This park always holds a special place in my heart, as it was the spot of my very first wedding formals! It’s always fun when I get a chance to go back. I love the board walk, and the stone of the military fort. One park with so many different backdrops. 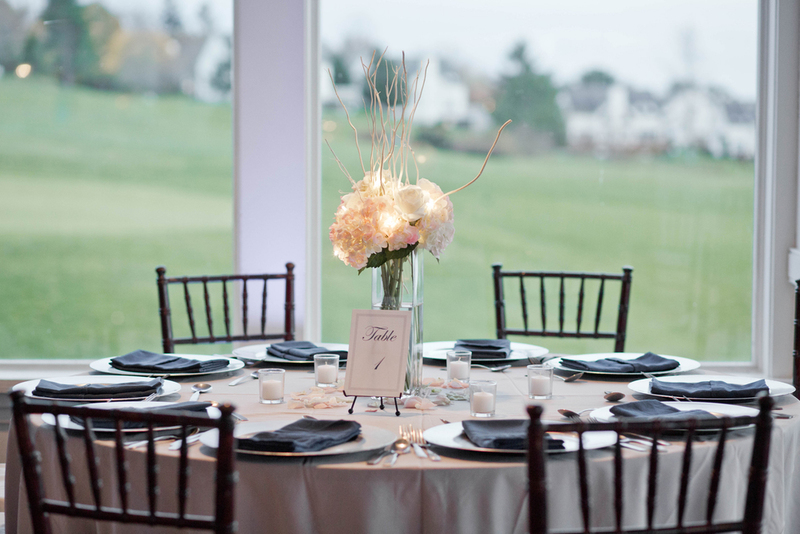 The reception was held at the Hawthorne Country Club in North Dartmouth, MA. 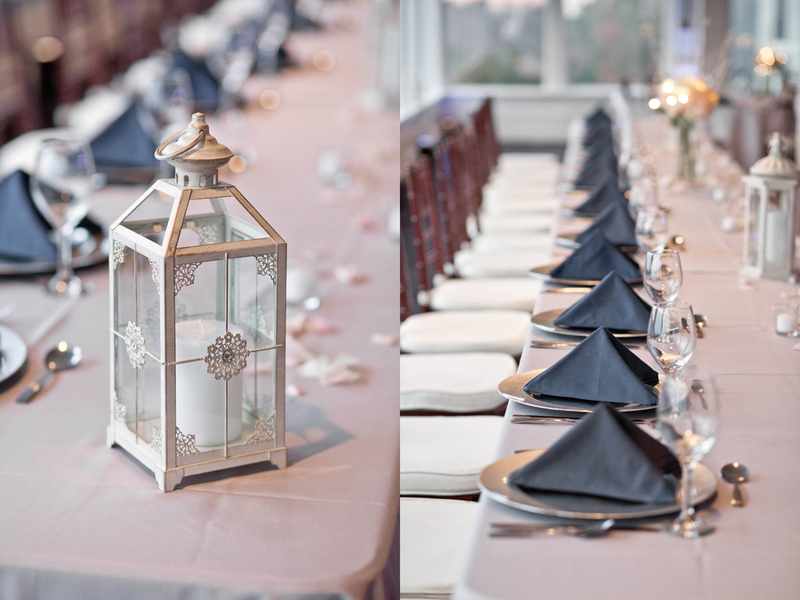 This is my second wedding here, and I loved that it was in a different room. The view from this venue is awesome. You can see the sunset over the trees! 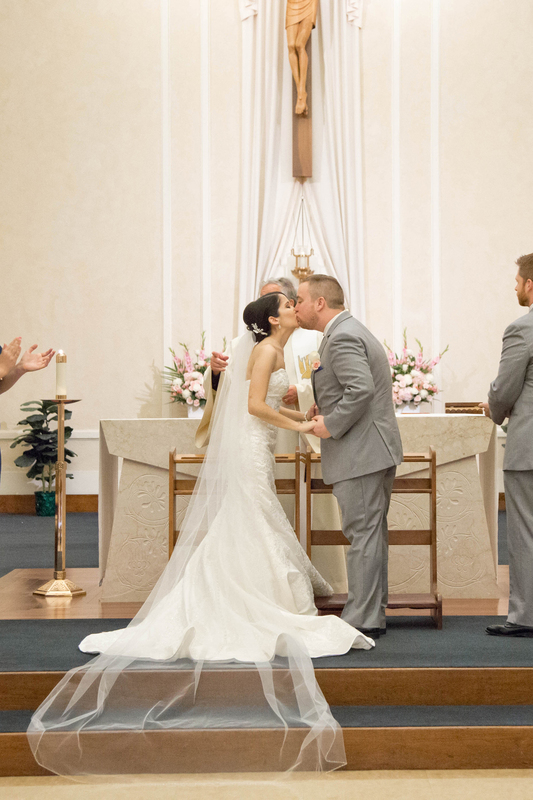 All in all, this was such a beautiful wedding. 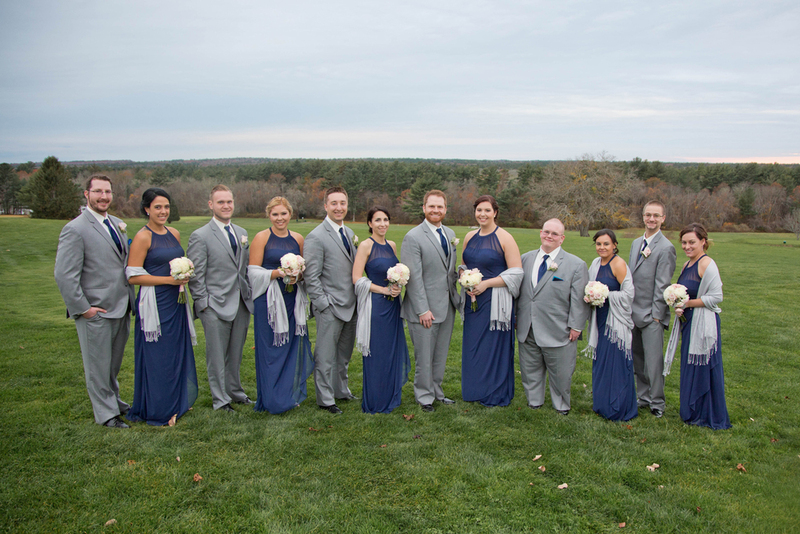 Diane and Dan were surrounded by their family and friends, and everywhere you looked, people were smiling and so happy for this couple. With all this happiness, you couldn’t help but smile and be happy! Congratulations to two of the sweetest people I’ve ever met. 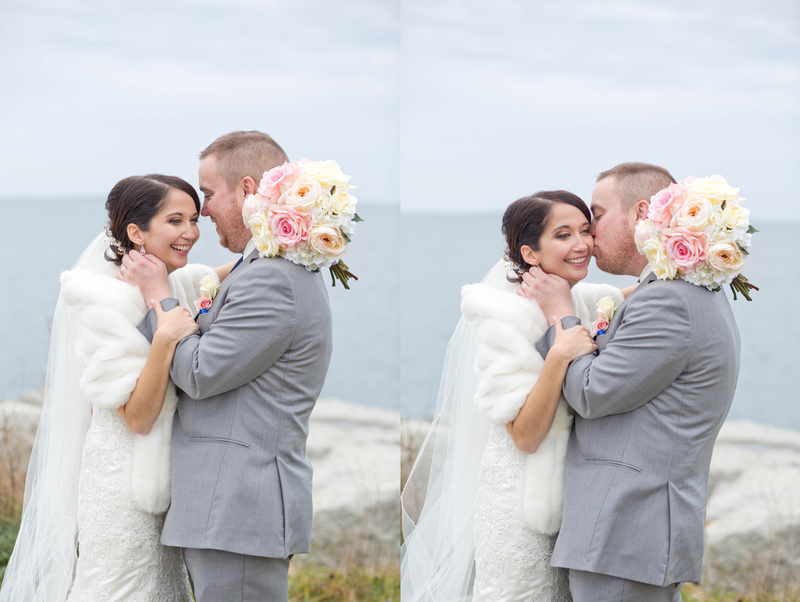 Here are some of my favorite highlights from their day!